On the silver screen, Peggy Lee acted in many musicals including the voice for Darling, the Cocker Spaniel in ‘Lady And The Tramp’. During her career, Peggy Lee was nominated for twelve Grammy awards. In 1995, she bagged the Grammy Lifetime Achievement award. 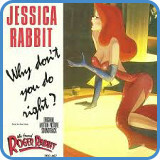 In ‘Why Don’t You Do Right?’ you get an even more prominent walking bass line than what you had in ‘Angel Eyes’. Take the master course and you get everything transcribed, including a bonus solo and a jazz backing track to improvise over. 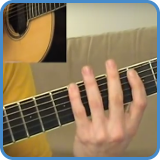 Go to video lessons: Why Don’t You Do Right? For complete lyrics, go to Why Don’t You Do Right? lyrics.